Quassia, Nettle Leaf, Sapo, Nettle Root, Chaparral, Valerian and Hydrangea Root. Quassia: Reduces Inflammation, stimulates digestion ,increases bile. anti-fungal and supports immune system. Nettle Leaf: Joint support, General health tonic and blood purifier. Sapo: Anti-inflammatory, regultes blood sugar and supports kidneys. Chaparral: Anti-inflammatory, relieves respiratory issues. Valerian: Relaxes nerves and supports oxygen delivery to the brain. Hydrangea Root: dissolves calcium deposits in soft tissue, has anti-inflammatory properties. Nettle Root: enlarged prostate, for Joints and as a diuretic. Natural Energy Booster combination is an iron rich-cell energizer,cleanser and revitalizer. It delivers iron and oxygen rich blood to the brain, nervous system, lymphatic system and it reduces cravings for addictive substances. This combination of herbs is similar to Dr. Sebi's Iron Plus and Viento. 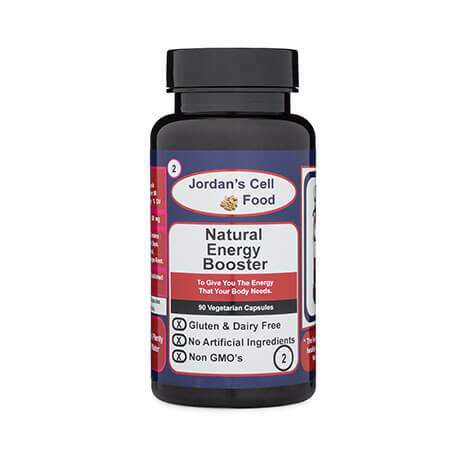 Natural Energy Booster can also be used by itself as a general cleanser or with other herbal combinations. The more combinations that you use together, the more you will cleanse the entire body down to the intracellular level.